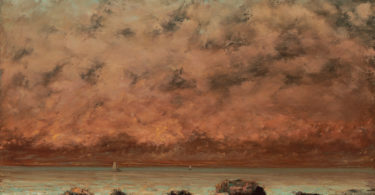 Guest post by Sharan Grewal, Matthew Cebul, and Alexander Kustov. 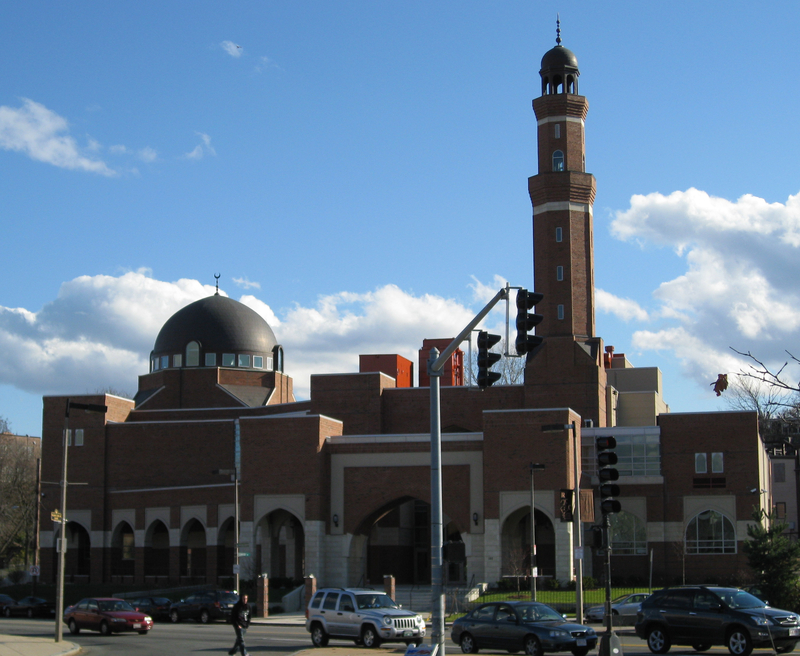 Islamic Society of Boston. Photo via Biruitorul. A recent Ipsos survey demonstrates that Americans and Europeans vastly overestimate the number of Muslims living in their countries. The overestimates are almost comical: while Muslims in reality make up just 1% of the US population, Americans guessed around 17%. Yet this ignorance is no laughing matter. Our research demonstrates that Americans who overestimate the percentage of Muslims living in the US are more likely to support restricting or banning the entry of Muslims into the country. Moreover, this troubling correlation holds even among highly-educated Democrats, suggesting that such opinions transcend partisan and educational lines that are often seen as indicative of anti-immigrant attitudes. In a survey of 594 people conducted on Amazon Mechanical Turk in November 2016, we find that only 7% of respondents correctly estimated that Muslims make up 1% of the US population. Nearly 20% of survey respondents guessed 5%, while over 25% of the sample put 15% or higher. 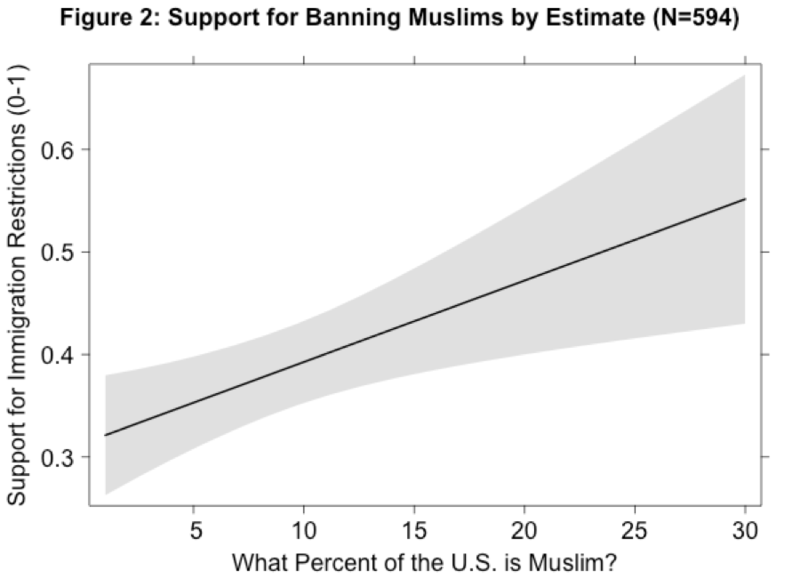 We also assessed respondents’ support for policies that would restrict Muslim immigration. We asked respondents to select their preferred immigration policy among eight positions ranging from permanently barring all Muslim immigrants to increasing the number of Muslim immigrants (see below for the full scale). 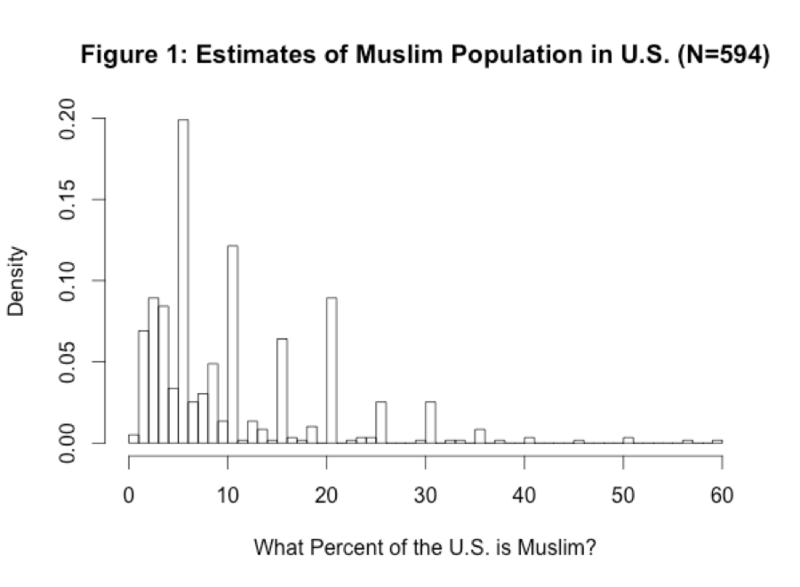 Figure 2 presents the probability that respondents chose a position more conservative than the status quo by their estimates of the American Muslim population. Individuals overestimating the number of Muslims were significantly more likely to prefer a stricter immigration policy (p=0.0058). On average, an individual who correctly guessed the percent of Muslims in the US was over 20 percentage points less likely to support immigration restrictions than someone who believed Muslims comprise 30% of the US population. This finding holds when controlling for standard demographic variables such as age, gender, race, religion, and political ideology, among others. It also holds after censoring all guesses above 30% as outliers (as displayed in Figure 2). Unlike the Ipsos survey, our MTurk sample is not nationally representative; respondents on MTurk tend to be more highly educated and more likely to identify as Democrats than the average American (for more on the representativeness of MTurk samples, see here). This overrepresentation makes our sample a useful test of whether this correlation holds among highly-educated Democrats, a demographic we might expect to be both less likely to overestimate the proportion of Muslim Americans and less supportive of immigration restrictions. While support for immigration restrictions is indeed much lower among Democrats with a college degree, Figure 3 still shows a strong, positive, and statistically significant (p=0.00214) correlation between their beliefs about the size of the American Muslim population and their preferences for immigration restrictions. To be clear, our findings are observational; our survey is unable to prove a causal effect of overestimating the Muslim population on support for restrictive policies. However, our research may still inform an ongoing discussion about the effect of information on policy preferences. On the one hand, some argue that if there were a causal effect, offering respondents accurate information about the number of American Muslims may diminish their perception of threat and thereby reduce their support for restrictions. Previous experimental research has found that providing information about the crime rate or about the amount spent on foreign aid, for instance, may shape respondents’ political judgments. 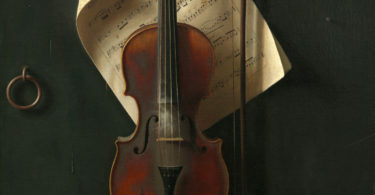 Conversely, recent literature suggests that the causal arrow may instead be reversed, with people’s political preferences shaping the “facts” to fit their opinions in a form of motivated reasoning. If this were the case, then providing respondents with the correct information may do little to change their policy preferences. This tendency to rationalize one’s own opinions by (mis)reporting factual perceptions seems to be especially pervasive when people’s key social identities are at stake. 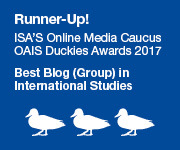 Accordingly, recent experiments find no consistent evidence that people exposed to correct information about the size of the immigrant population change their views on the issue, although other studies contest that finding. Our survey offers some evidence that stands at odds with the motivated reasoning hypothesis. If motivated reasoning were systematically impacting respondents’ behavior, Republicans in our sample – who are on average much more supportive of banning Muslims – should offer higher estimates of the American Muslim population to rationalize their partisan desire for immigration restrictions. In contrast, we find that the median estimate for Democratic and Republican respondents are nearly equivalent (7 and 7.5%, respectively). While this null finding is by no means conclusive evidence against motivated reasoning, it does suggest that on this issue, our respondents may not have been hopelessly partisan or close-minded. Disseminating accurate information about the American Muslim population may help to shape their immigration preferences. Whether as a cause or effect of their policy preferences, people’s overestimates of the Muslim population should not simply be dismissed as harmless ignorance. 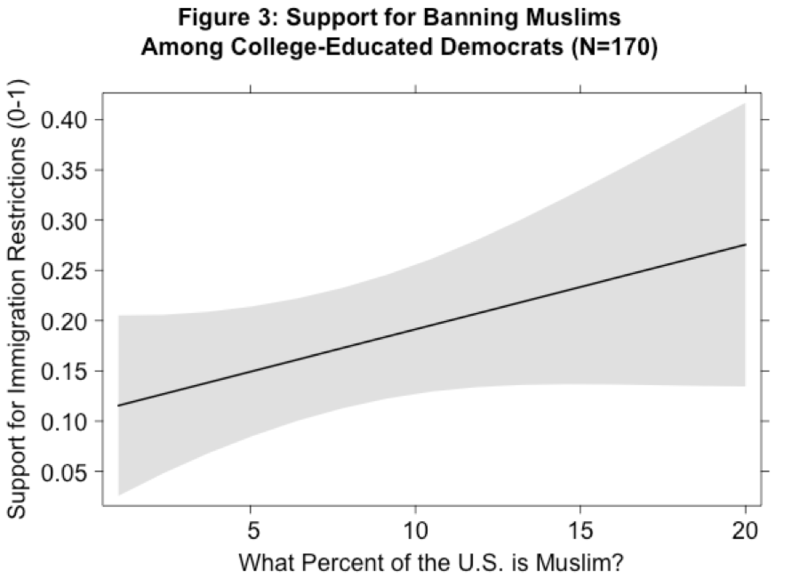 The correlation in our survey suggests that this overestimation has dangerous real-world implications, either contributing to or reflecting support for restricting Muslim immigration across both partisan and educational lines. Bar Muslims from states with elevated terrorist activity from immigrating to the US for the next 5 years. Allow Muslims of any nationality to immigrate to the US, but require them to take an ideological screening test. Allow Muslims of any nationality to immigrate through existing procedures, but create specialized police forces to patrol and secure Muslim neighborhoods. Allow Muslims of any nationality to immigrate through existing procedures. Allow Muslims of any nationality to immigrate through existing procedures, and create specialized immigrant outreach programs to help integrate new immigrants. Allow Muslims of any nationality to immigrate through existing procedures, create specialized immigrant outreach programs, and increase the cap on permanent immigrants that the US accepts per year. Sharan Grewal and Alexander Kustov are PhD candidates in Politics at Princeton University. Matthew Cebul is a PhD candidate in Political Science at Yale University.